A former Mexican congressman and founding member of a think tank studying Mexico's foreign relations says it is time for Canada to take the gloves off in its trade fight with the United States. A former Mexican congressman and founding member of a Mexico-based think tank says it's time for Canada to drop the gloves in its trade fight with the United States. Speaking on CBC News Network's Power & Politics Tuesday, Agustin Barrios Gomez said Canada needs to understand that Canada is living in a new world where the friendship that bound it to its southern neighbour "no longer is currency with the current administration" in Washington. "This policy of appeasement, or this policy of playing nice that was attempted by the Trudeau government at the beginning, I think that that time is over," Gomez, a founder of the Mexican Council on Foreign Relations, told guest host Catherine Cullen. "We have to sit down and look at what each country's national interests are and be very clear that we cannot be allies if we are not friends. And this is not a way to treat friends." Gomez argued that Mexico's incoming leftist president, Andres Manuel Lopez Obrador, does not have links with big business in the way that outgoing president Enrique Peña Nieto does, and so will not be beholden to business interests in the same way. "I think he is going to be a better negotiator because of this," Gomez said. "In terms of labour standards and raising wages, I think [he is] going to be much open to that than the outgoing administration, which had a lot of ties to the big business sector." Gomez, who said he has campaigned with Lopez Obrador, will be advising the president to use the U.S. government's security interests as leverage in the ongoing trade talks with U.S. President Donald Trump's administration. "One of the things that Canada and Mexico share is the fact that the United States depends on both countries for its survival," Gomez said. "The United States is a country with significant national security challenges and only by having a Canada and Mexico that are cooperative can they actually get things done." 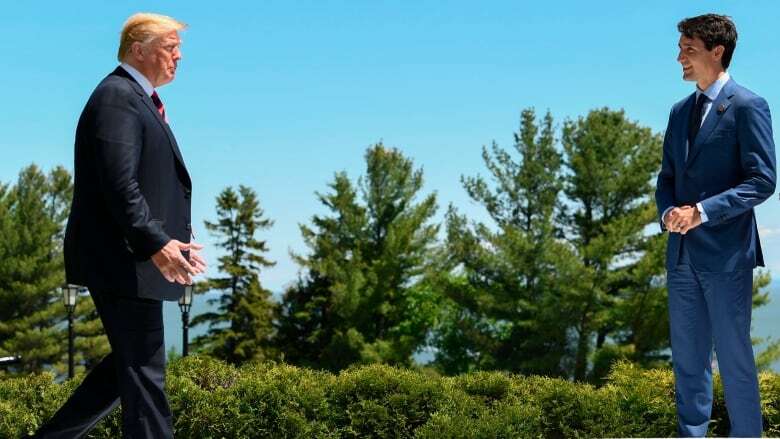 He also said that Canada and Mexico should stick together rather than be tempted to sign bilateral trade deals separately — something Trump has called for. "It would be a big mistake on the part of both countries [Canada and Mexico] to try to do separate agreements, because the idea behind that is that the United States feels that it will be more free to push its weight around if it does bilateral negotiations," he said. "Make no mistake about it." The stress on the trading relationship between Canada and the U.S. is already starting to raise the cost of construction and manufacturing in the United States, according to Sandy Baruah, president and CEO of the Detroit Regional Chamber of Commerce. "U.S. businesses are really paying attention. It has really hit their bottom line," he told Cullen Tuesday. "Companies as large as General Motors and as small as Lucerne [International] are really talking about the direct impact of the number of people that they are going to be able to employ, and their financial profitability is very much at stake." Asked if he supported Canada's move to put tariffs on U.S. imports as retaliation for the U.S. slapping tariffs on Canadian aluminum (10 per cent) and steel (25 per cent), Baruah said, "Absolutely." "I never want to advocate for nations putting up tariffs that thwart economic growth and thwart job creation, either here or elsewhere, but that's what's happening between the United States and Canada," he said. "I certainly understand and sympathize with the Canadian position of Prime Minister Trudeau that if you are going to be faced with a unilateral set of tariffs being imposed by the United States, it's only natural that other nations respond." The U.S. Chamber of Commerce, the country's largest business group, launched a national campaign on Monday to oppose tariffs imposed by the Trump administration on its allies. Baruah expressed concern over the Trump administration's threat to impose further tariffs, this time on the auto industry, He noted that 25 to 35 per cent of a car assembled in the U.S. is composed of parts from around the world. He said tariffs on the auto industry would increase the cost of a U.S.-built car for an American buyer by as much as $3,000. "Why we would want to break up NAFTA is beyond me and I think the business community is very much united on the fact that NAFTA needs to stay intact," he said. "The first rule of a new NAFTA is: first, do no harm."